As the end of 2017 draws to a close, one of my favorite novel quotes comes to mind. It’s from The Great Gatsby by F. Scott Fitzgerald. The legendary character says to his friend Nick Caraway, “I don’t want you to get the wrong idea of me from all these stories you hear.” Of course, Gatsby hides behind sordid tales masking his true intentions. As a man of incredible wealth, how he came by money is dubious until the end of the book, when it is revealed that he is just a typical criminal, albeit a rich one. His cohort, Caraway is a memoirist in this context, besotted by the novel’s central character until the lies of luxury and excess become stripped away. In many ways, the allegorical Fitzgerald masterpiece is prescient today, even in our food world, as real stories of harassment come bounding out of the kitchen doors. None of this is new; there have always been hidden agendas among those that want power, whether behind a stove or a desk. While the New York Times, Washington Post, and CNN kept me up at night, I went looking for comfort in the foods that I ate this year. I wasn’t seeking hype or multi-million dollar restaurants, but honest-to-goodness eats that were democratically attainable. I desired to eat comforting ingredients showcasing the diversity of the United States – right here in Southern California. Gratefully, I think I found it without trying too hard. I discovered Humberto Raygoza and his homemade chorizo while working with Brouwerij West, the famed craft beer brewery in San Pedro. He was a regular at the spot, cooking up his artisan chorizo under a tent with a portable flat-top. From him, I learned that nearly every Mexican state makes a different version of chorizo, a spicy sausage mixture. It even came in different colors, such as green, red, and brown. 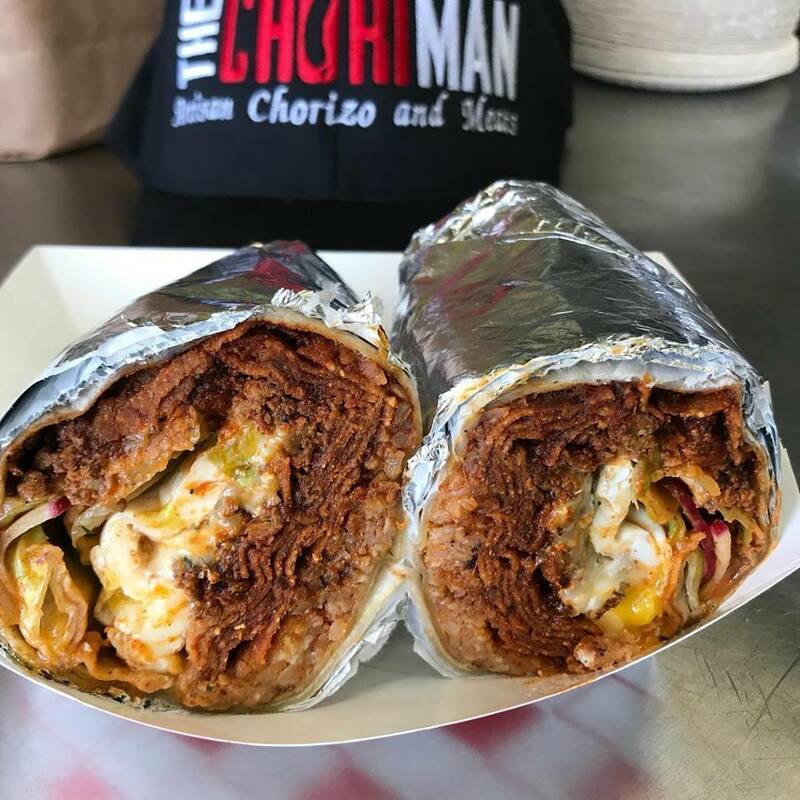 Statesiders typically find the “rojo” version, but when in Mexico, seek out the others – or head to Chori-Man in San Pedro who opened a storefront/ eatery in the summer. Food Gal Carolyn Jung once said to me, “A burrito can be a thing of beauty.” Raygoza’s are the Mona Lisas. According to the waiter at the decidedly unstuffy restaurant tucked into a strip mall on Date Palm Drive, the Secret Service would come in to order this messy but incredibly delicious and satisfying burger every time the President was in town. 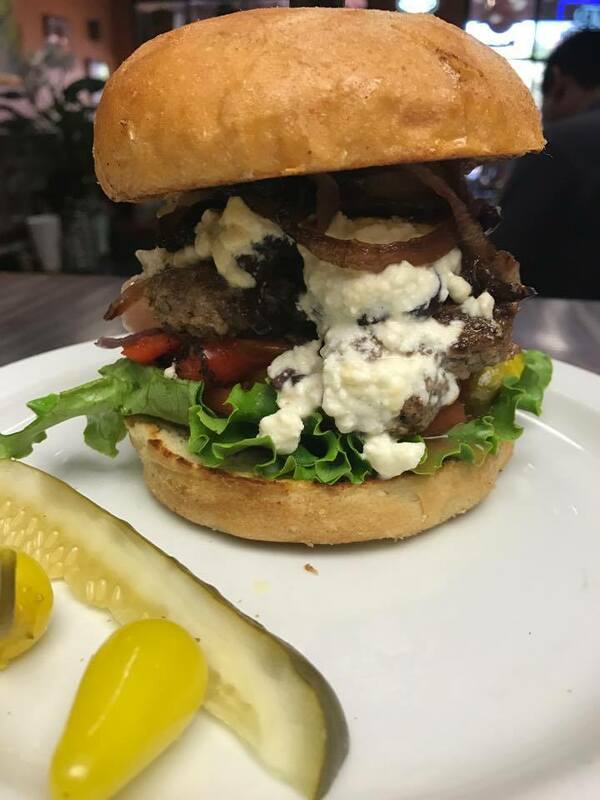 Made of almost a 3/4 pound of ground beef served with crispy bacon, goat cheese, grilled onions, and garlic aioli on a cloud-like bun, the former President was getting his tastes on with this enjoyably messy monstrosity. If the Obama burger isn’t your favorite, then try one of the other 39 types of burgers on the menu. Order up a side of hand-cut fries too, thank you very much – get the large to share amongst your dining companions. 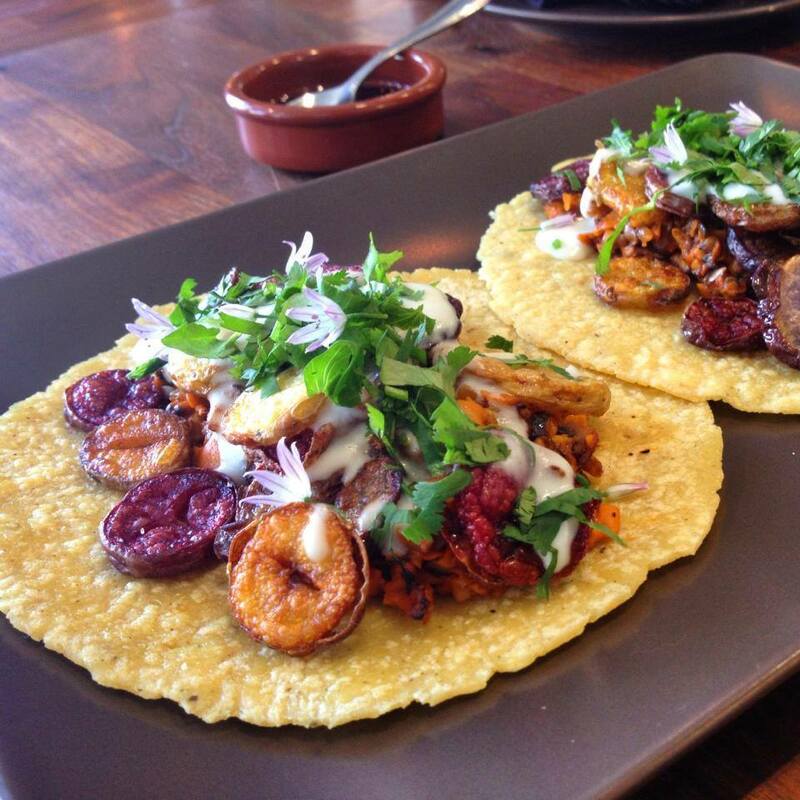 What else can I mention about the upscale Cal-Mex food experience that Food & Wine Magazine or Jonathan Gold, the masterful food critic at the LA Times, hasn’t? That it’s a glorious dining experience? Foodophiles can’t miss eating here? Out the six or so times I’ve dined here — and not all in 2017 — I keep coming back to the jardineros taco. It’s not cheap at $14 for mostly three or four bites, but it’s perfect, and memorable, a combination of flavors in an Orange County urban-setting. With the picture-perfect blue masa tortilla, smoky mushroom “chorizo,” some heft added by papas, topped off with molten cheese (or queso fundido) and some micro-greens, I feel like I’ve eaten one of the best Mexican foods ever created in California. In the early 2000s, Los Angeles was graced with Chef Scooter Kanfer-Cartmill’s homey confections of lobster mac and cheese and animal cookies served with a shot of milk at her Larchmont restaurant called The House. After closing the doors, she went on her way to a couple of other LA stints before winding her way to Palm Springs. 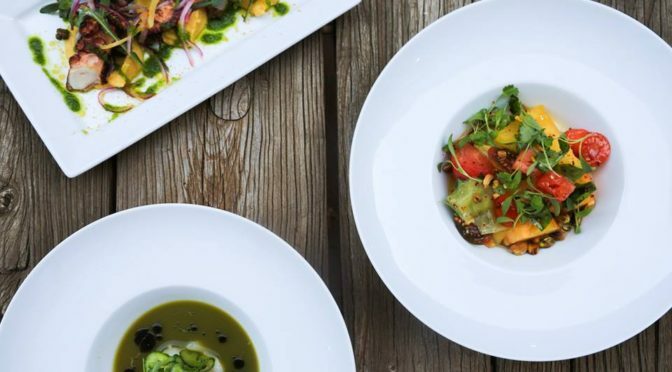 In the desert community, Kanfer-Cartmill has hit her stride, where she has been directing the kitchen with generous portions infused with tropical themed flavors. Hence, the mighty pork chop, butchered from a massive animal, gets rubbed in savory herbs and garlic and then pan roasted. The dish comes served with a sweet and sour chunky sauce with a mild hint of heat. It is worth a Los Angeles drive to the desert every single time you want pork. As a half Pinoy and half Caucasian American, I only have good memories of my dad and his family when we ate around a dinner table. While the memories of living with him are not fond, we ate incredibly well. So when I came to eat at Irenia’s, I had to leave my baggage at the door and go in as someone who was eating Filipino food for the first time. I’m glad I did, because Chef Ryan Garlitos created something special at the restaurant he named after his grandmother. Most of the dishes are not traditional, but something ethereal, combining his Pinoy cooking experience with those that he acquired at a variety of stints, including Taco Maria. It’s not the noodle dish I remember, but something different and more delicious. 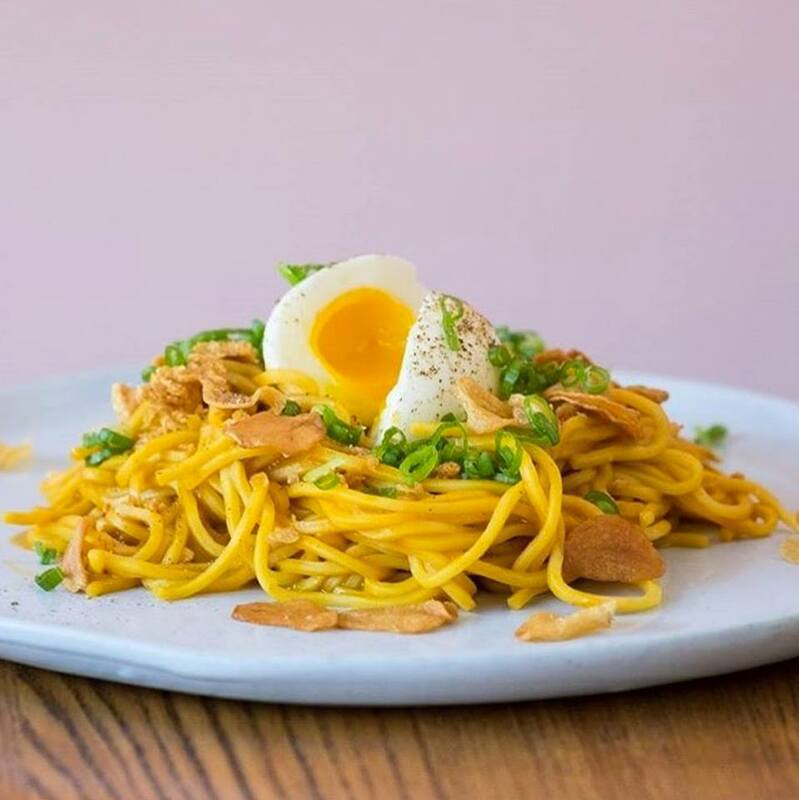 Although there are nearly four dozen versions of the Filipino dish, each with different ingredients but always some form of noodle. Garlito’s pancit bihon is all his own making. 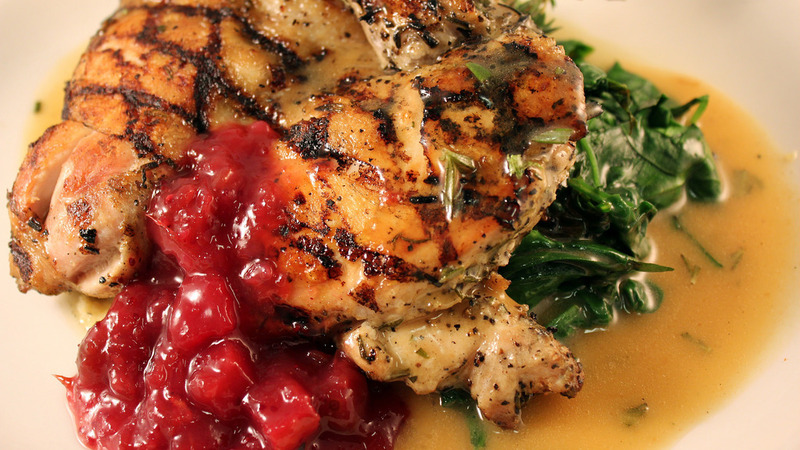 Simple, mouthwatering, and memorable. Topped with a soft-boiled egg and carrots and assorted vegetables, it’s worth going to Santa Ana and carb-loading.